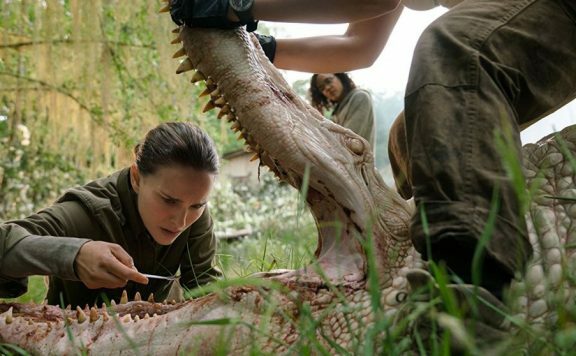 Aaron Neuwirth reviews Annihilation, the sci-fi horror film starring Natalie Portman, adapted from the novel by Jeff VanderMeer. It can’t be simple to follow-up a directorial debut as successful as the Oscar-winning Ex Machina. For Alex Garland, however, things just seem to be falling into place. Annihilation is his sophomore effort as a director, but Garland’s previous screenplays for films such as 28 Days Later, Sunshine and Dredd have established him as one willing to explore science fiction in a variety of ways. Given all his experience, it’s only right to see him take on a project such as this, which provides a balance between hard sci-fi concepts and the horror found in a beautiful, yet dangerous wonderland. Based on the 2014 novel by Jeff VanderMeer, Annihilation concerns a small anomaly slowing getting bigger near America’s swamplands. Area X, as it is referred to, is a sort of disaster zone surrounded by an iridescent force field known as “The Shimmer.” Military teams have been sent in, but no one has returned, except for Kane (Oscar Isaac), a soldier married to a biologist and former soldier, Lena (Natalie Portman). Kane is suffering horrible injuries from his strange experience, leading to Lena volunteering to go on another expedition. 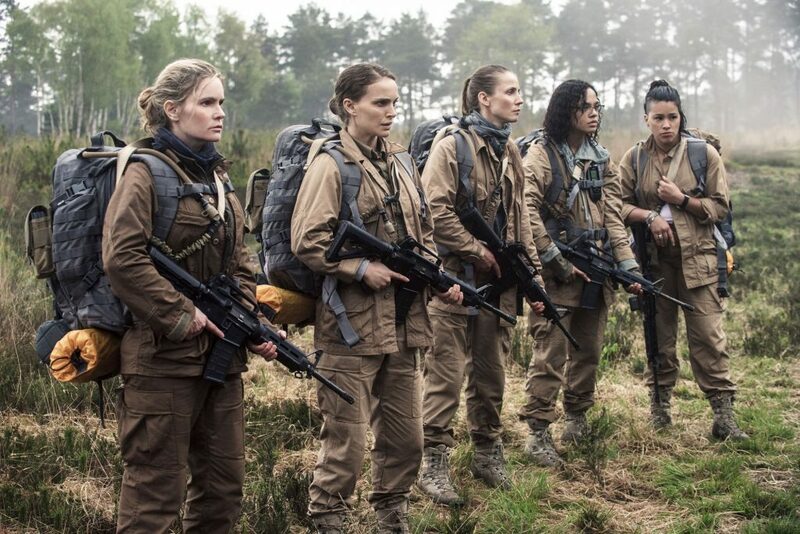 This expedition will be made up of scientists played by Jennifer Jason Leigh, Gina Rodriguez, Tessa Thompson and Tuva Novotny. As one may notice, only women make up this expedition team. That’s more notable for a studio putting out a mainstream film than in regards to the film itself, however, which is appropriate. What we have is a crew of smart people with an objective. The plotting is relatively straightforward, with plenty of breathing room to hold onto a sense of clarity regarding Lena’s personal motivations in the midst of understanding what happened to her husband. Time is given to the other characters as well, making for a deliberately paced slow-burn of a film more interested in its focus on how characters react to the stunning creations they come across, as well as the gruesome sights. 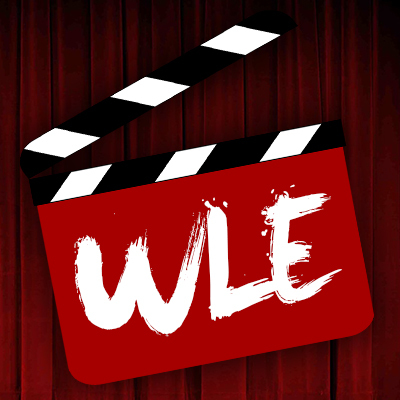 Those expecting a complex science fiction story will be satisfied to varying degrees, especially as the film enters into a third act more fitting of the classics of the genre many filmmakers hope they can live up to. To arrive at that point, however, Annihilation is far more interested in building tension, alongside its characters. This can be problematic, as particular choices made by intelligent people are questionable. Decisions concerning how to stand watch in a dangerous environment mean accepting odd ideas that will lead to future developments. It’s all a way of saying I wasn’t too fond of the means to reduce the cast and make the film more of a singular journey, but it leads to some intense and exciting sequences nonetheless. With that in mind, Garland shines in his approach to conveying a sense of mystery throughout the film. 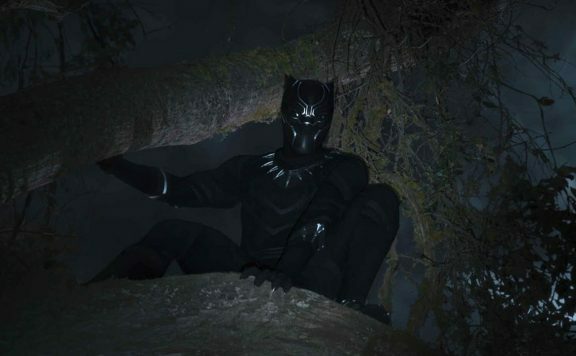 There’s a basic structure to how things play out, but breaking up the movie by way of flashbacks and flashforwards contributes to the nature of the enigmatic world the characters have entered. Cinematographer Rob Hardy gets a lot to play with, using muted colors reflecting the natural earth tones to play as a contrast to the brilliant colors found with the plant life and creatures seen in Area X. A mix of practical and CG effects further help convey the disorienting feeling of an environment that should feel alien in many ways, yet familiar in others. And then you have some brilliant music compositions handled by composers Ben Salisbury and Portishead’s Geoff Barrow. I’m being purposefully vague about what lies in the mysterious zone these characters enter into, but it is fascinating to see not only the foreign nature of this area but the reactions each of the characters have to it. In place of jaw-dropping twists, the film delivers real people that would fit as candidates for a mission with a low chance of success. As a result, you get strong interactions between Portman and the rest of the cast. There are also the reactions they have to some wild imagery. 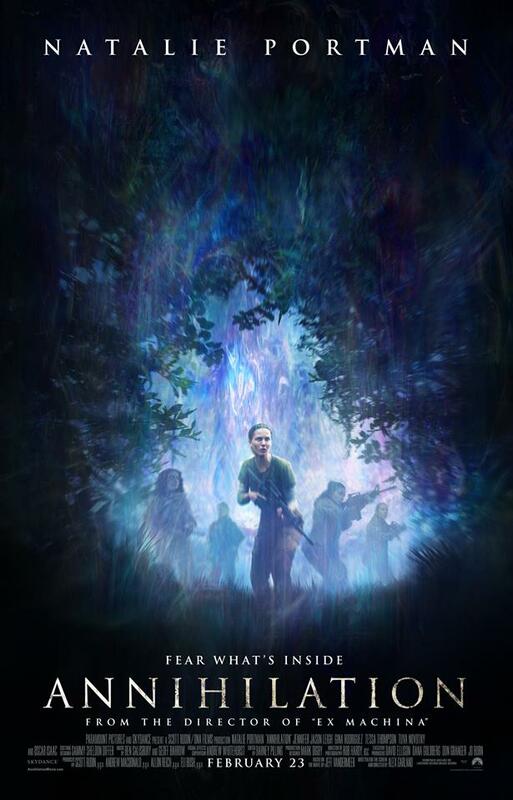 Annihilation easily earns its R-rating, as the characters directly witness some bloody scenarios, which only adds to the level of suspense and developing paranoia found in the characters as the film progresses. 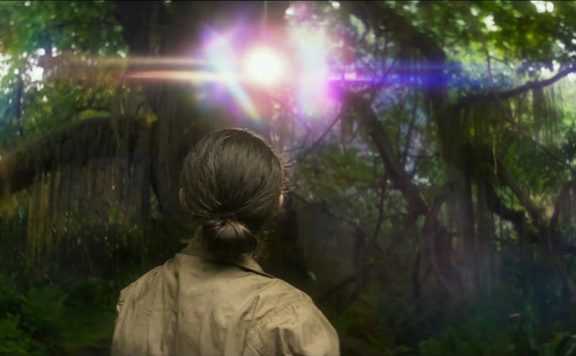 For a film like Annihilation, one hopes the selling point of Portman facing off against a mysterious world delivers on some sort of meaning. By the end of this film, it’s hard not to match it up to something like the recent Under The Skin, let alone Arrival or even Contact. That’s not to say whatever her character is dealing with is either a malevolent force or one of peace, but the film is presenting more in the way of what an audience member should consider rather than concrete explanations. Having the confidence to push a movie in that direction is the sort of thing I welcome, and it only helps to see a film so well-made and devoted to its ideas. Whatever one may take away from the film, there should be plenty of credit given to Garland and his team for the choices made here, the cast for their commitment and to Paramount for releasing another movie that sits more on the side of the scale with mother! than Transformers. 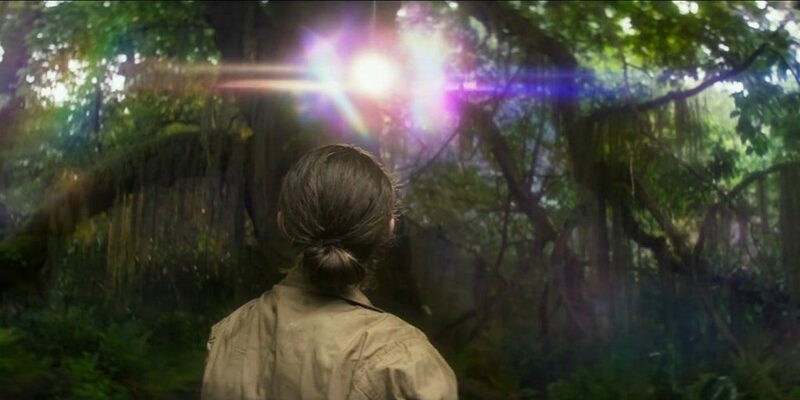 Annihilation is cold and deliberate, but also a proper examination of what life is, what it means to change that understanding, and a radical journey. There’s enough here to fear as well, but I was happy to keep a tight grasp on what I was seeing.